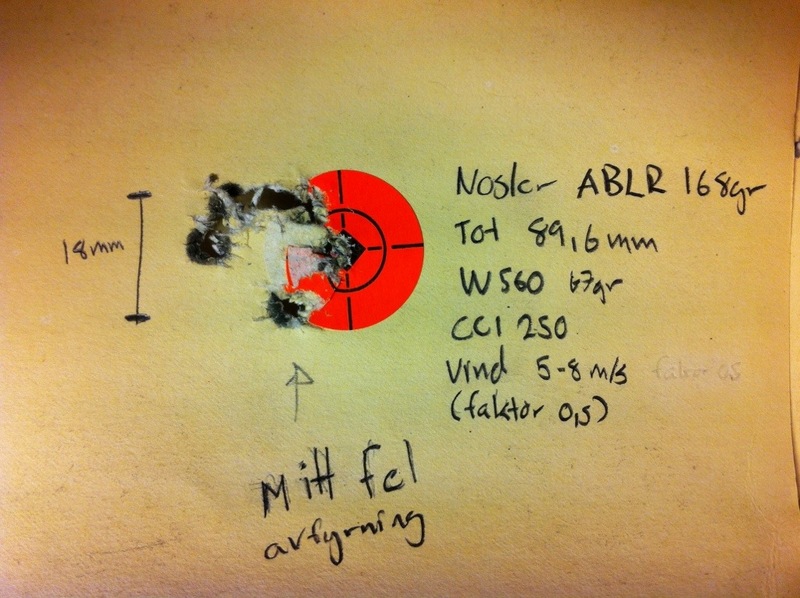 After the first live test of the bullet at the local range it seems like the ABLR likes modest speed. Quite windy and and lots of rain that day so it was hard condition to test in but it gives a hint were to look for a good load. Next is testing 66gr – 67gr and then testing different COL to find optimal load. ← Nosler Accubond Long Range – finally they’re here!